And Miss Cal is enjoying every minute of it. It’s not often you get a sunny, 60 degree day in November around here. Not unheard of, but rare enough. Yesterday was such a day, so I took the opportunity to head out for a drive. The corn in the fields, while picturesque, is actually a bad thing. There’s been so much rain that the fields are mudpits. The farmers are hoping they can clear the fields before the first snow. Harvesting in December. Who’d have thought? Day Three was Sarah’s birthday. We had planned to drive from Munich to Passau and then up along the border with the Czech Republic to see areas where I used to patrol. But I had been talking about seeing Ramsau for a while because it’s one of my favorite webcams and is often featured on this blog. Sarah suggested we head that way and swing up to Passau later. So off we went. The ride to Ramsau was pretty spectacular. We avoided a traffic jam thanks to the excellent navigation system in the Mercedes and wound down through some really tight roads which ran along a river gorge into Ramsau. This is not a place you want to accidentally go off the road. It’s a long way to the bottom of the gorge. The scenery reminded me of Colorado. When we got to Ramsau, the sky was brilliant blue with some clouds moving in. It was well past lunchtime and we were starving, so we stopped in at the Gasthof Oberwirt for an excellent lunch. When we came out after lunch, the clouds had started to move in, although there was still some blue showing. Here’s the webcam responsible for so many awesome sunrise images I’ve posted here. And here’s the famous webcam view, taken this time with my own camera. This is the view I came to see. Of course we couldn’t resist getting in the image ourselves. Ramsau is famous for hiking and cross country skiing and, of course, stunning views no matter which way you turn. The buildings on the hill are some vacation rentals. Here’s Ramsau other, less famous church. Still very picturesque. There was a small park in Ramsau with this rather unique “inhalatorium” where water was filtered down through branches which then gave off supposedly healing fumes. Behind the church in Ramsau is a rather elaborate cemetery. Oddly enough, most of the graves are dated within the last 30 years or so. The interior of the church is pretty impressive for such a small structure. We left Ramsau and drove the short distance to Berchtesgaden. 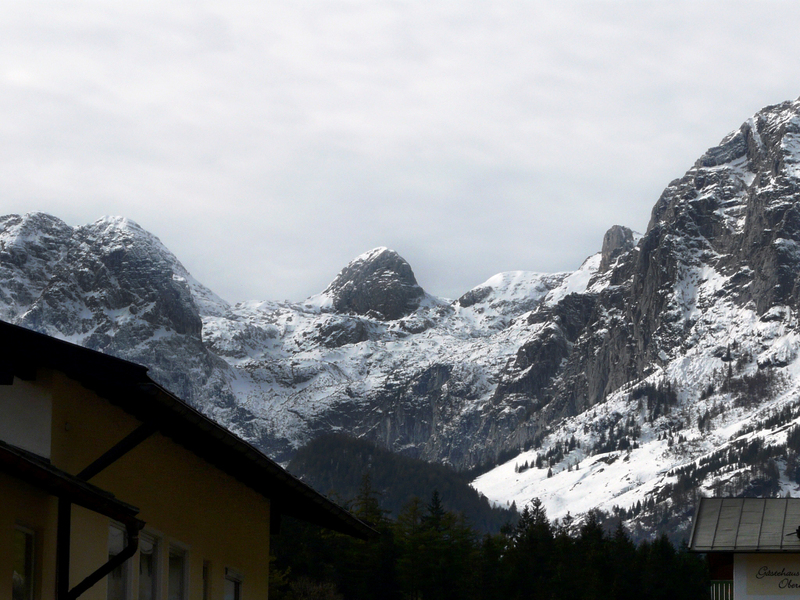 I wanted to see the Eagles Nest, Hitler’s WWII mountain retreat, but the early snow had closed the roads up there, so we had to settle for a picture from the village below. Then, again at Sarah’s suggestion, we decided to drive the very short distance into Salzburg, Austria. It would prove to be the best decision we made during our trip. Salzburg is amazing. We parked the car and found ourselves right at Mozart Platz. After seeing the city up close for just a few minutes, we knew we had to stay here for the night. We went and found a room for the night and continued exploring. Salzburg screams history everywhere you look. There are cathedrals with huge squares surrounding them and museums and grand architecture around every corner. After a magical evening stroll through this timeless city, we returned to our hotel and booked another night. We didn’t book a suite, but there was one apparently custom made for me. The hotel was within easy walking distance of the center of the old city. It was a very comfortable place with a great breakfast every morning. It’s called the Altstadthotel Kasererbräu. I highly recommend it for anyone staying in Salzburg. So that was Day Three of our trip. Another very busy, but highly enjoyable day. White House security – Talk about a major screwup. Runflat Tires – Had a tire blow out this week. I must have hit a piece of metal or glass and it sliced the edge of the tread and sidewall. I heard a muffled pop, but felt no change on the handling of the car. Only the tire pressure warning on the dash alerted me to a problem. I drove another 15 miles to a tire dealer. Runflat Tires – These things are seriously expensive. It cost me $489 to replace the blown tire, plus another $45 for a rental car because the tire had to be ordered. If I had been using regular tires, I would have needed a tow. But in the end, it may have been cheaper. Hopscotch – One of my favorite movies. Even more so now that I’ve been to Salzburg and recognize the scenery. Weather – After a week of rain, a bit of sun. 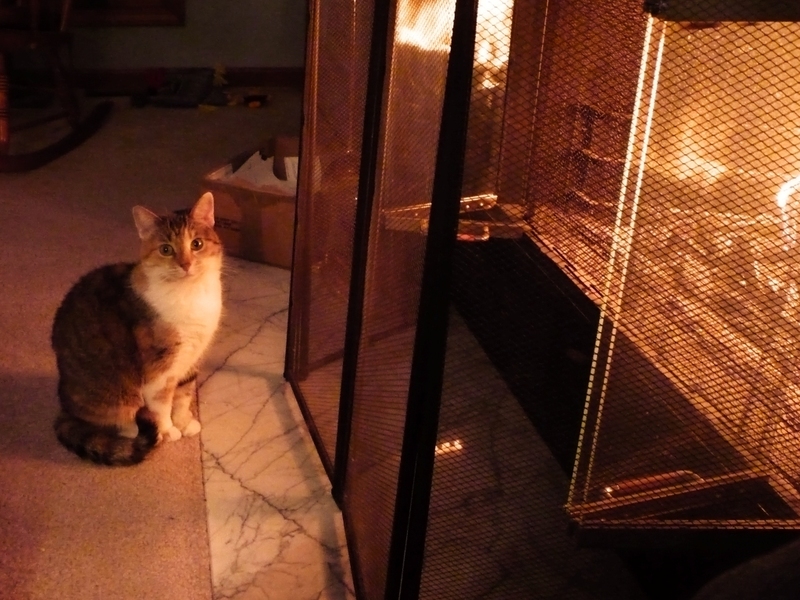 Not looking forward to winter. Chuck’s home – My nephew is safely back from Iraq. His fourth combat tour. Day Two started out nice and clear and sunny. Still a bit brisk, but with a warm sun, it promised to be a beautiful day. We set the navigation aid (which we named Helga) in our Mercedes Benz C180 rental to bring us to Neuschwanstein Castle in the town of Schwangau. The nav aid was indispensible during our trip. It was tied in with the German highway traffic reporting system, so whenever we were about to come up to a traffic jam, it efficiently directed us around it. The radio was also tied in so that even though the radio was off, it would turn on briefly to play the traffic messages. Pretty cool. Here’s a picture of our faithful steed stopped beside a tiny village where picturesque scenery was all around. Our local area in IL is flat to the horizons in all directions. Germany, therefore, left us gaping at incredible scenery. Just stepping out of the car near this little village yielded these stunning pictures. Note how the frost is creating shadow images of the trees wherever they cast shadows. 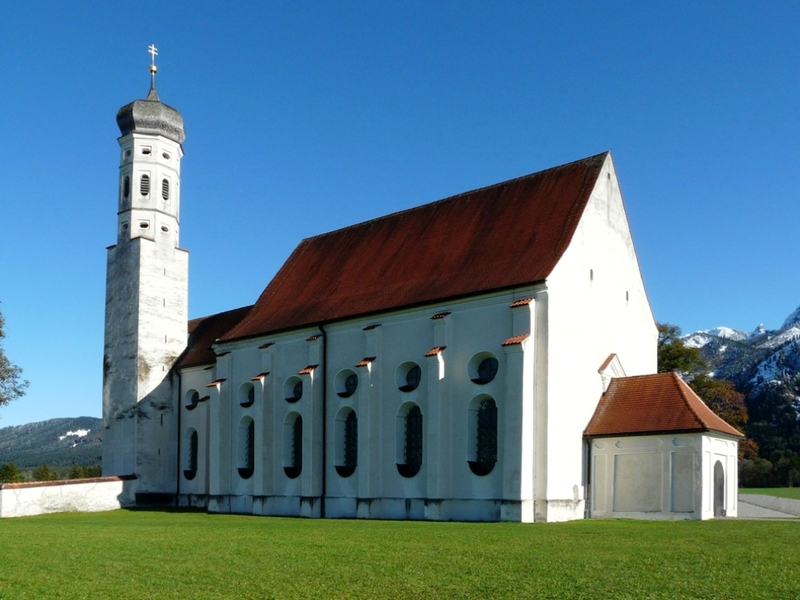 As you approach Schwangau, the first not-to-be-missed sight is the Chapel of St. Coloman, built in 1678. Turn around after shooting pics of the chapel and you see Neuschwanstein and Hohenschwangau castles in all their substantial glory. Hohenschwangau is where King Ludwig II of Bavaria was born and raised. 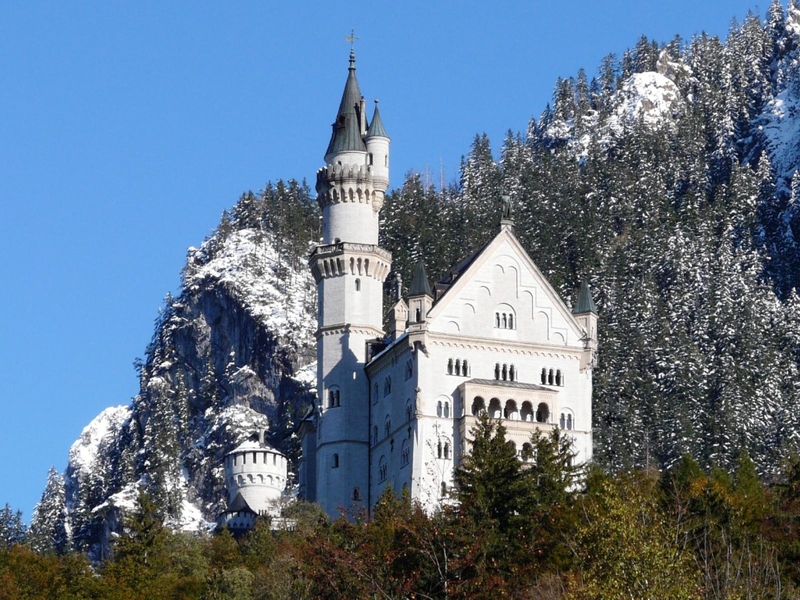 He had Neuschwanstein built within sight of his childhood home. Like I said before, the Ludwig crowd is big on swans. At the base of the castle area there are numerous hotels and restaurants and gift shops, as would be expected. It’s also where you buy your tickets to tour the castle. On this day there was no bus service to the castles, so you had to either hike the uphill mile to Neuschwanstein or wait for a space in one of the horsedrawn buggies. We hiked it. We opted to just see Neuschwanstein, but were soon wondering if we’d have been better off with the shorter hike to Hohenschwangau, which was just up off the road a ways. The views from the waiting area just below Neuschwanstein are tremendous. Again, note the frost shadow from the treeline. The signs as you enter the courtyard to wait for your tour indicate that cameras aren’t allowed inside the castle, but they do let you bring them in. You just can’t take any pictures inside the castle. I’d imagine the reason is twofold. One, it would greatly slow down the tour pace, and two, they can sell you pictures of the inside. You can take pictures out of the windows, although the same views can be seen from outside the castle. I wanted the classic image of Neuschwanstein taken from Marienbrücke (Mary’s Bridge) further up the hill behind the castle. I knew the trail up there would also have some great views of Hohenschwangau. The bridge itself is not for the faint of heart. It’s narrow and was ice covered the day we were there. It’s a long way down to the bottom of the gorge it spans. After the additional climb up to Marienbrücke and slip-sliding my way out onto the bridge, I was shocked and disappointed to see virtually the entire side of Neuschwanstein covered in scaffolding. Such is the price one pays for traveling off-season. The last time I was here at Schwangau, back in the mid-80’s, it was summertime and there were dozens of hang gliders sailing around. If you look at the center of this image at the top of the ridge, you can see a building with a flat roof. That’s where they were launching from. It takes some serious nerves to throw yourself off that ledge. After a great lunch in one of the restaurants near the base, we set out for Oberammergau. Oberammergau is famous for the “Passionsspiele” or Passions Play that is held there every 10th year. The next run is 15 May through 3 October, 2010. Then it will be gone until 2020. I’m guessing it’s already too late to get rooms in the local area. The theatre itself is a marvel to behold. The stage is semi-open air, but it has a huge movable roof which can be raised or lowered to suit the elements. I couldn’t get into the stage area, but I shot this image through the door. You can see where the stage is open to the outside. The village surrounding the theatre is touristy, but fascinating. There are buildings which advertise vacation apartments, which I’m sure must already be taken for the coming Passions Play season. Oberammergau is a great place to spend the day. Shops and restaurants everywhere. The shops sell everything from pewter to cuckoo clocks (of course). On the way back to our hotel in Munich, we passed through the small town of Ettal, where there is a monastery. We were too tired to stop, though. Next time, maybe. I’ve finally started to get all my pictures from the trip sorted out and edited. It’s easier to do this a day at a time as we did quite a bit of driving around to different places. And even though this is titled “Day One,” this was actually Monday, our second day in Germany and the third day of the trip. The first two days were spent getting to Germany and then recovering from the flight. Our hotel was very close to the main headquarters of BMW in Munich. The buildings of the BMW complex are themselves something to see, but housed within is a museum, which we didn’t visit this time, and a new building called BMW Welt (BMW World). It’s their showcase for new models and technology which goes into their products. It’s also where you pick up your new BMW if you’re German or took the European delivery option. It has to be the classiest set up for picking up a car in the entire industry. As you can see, the day we were there it was fairly quiet at BMW Welt. Although there was the unexpected sight of a rider blasting around on one of BMW’s new Enduro bikes. I imagine something like this would send American insurance underwriters into shock. The star of BMW Welt is their new concept car called the Vision. It’s an environmentally friendly machine with some serious horsepower and radical aerodynamics. Here’s the area where new BMW owners meet their car. All these cars were going out to new owners that day. Very cool way to pick up a car. Upstairs there is a gift shop and restaurant with an outdoor deck which overlooks the Olympic park and stadium. On a nice day it would be a great place to enjoy a beer and people watch. A short drive from BMW Welt brought us to Schloss Nymphenburg. This amazing palace used to sit on the outskirts of Munich. Now it’s well within the city limits. The grounds encompassing the palace and the palace itself are both enormous. The panorama below only shows the buildings one can see facing in this direction. They actually wrap around a huge area and stand before an incredible garden area behind the palace. The main entrance to the palace is by itself pretty impressive. The gardener in me was secretly amused to see that I’m not the only one who does battle with moles. The front gardens include a huge lagoon which flows out into a canal which, in turn, runs about a mile out to a pumphouse (or some such thing). Across the street from the pumphouse is the start of yet another park. You can see the pumphouse in the full zoom picture below. Ludwig I of Bavaria lived here in the mid 19th century, so swans in such a scene are a given. Swans were big with the Ludwig crowd. The interior of the palace is just as impressive as the outside. Breathtaking frescos on the ceilings and huge paintings on the walls adorn most rooms. No tour of a castle or palace would be complete without a visit to the bedrooms of the formerly rich and famous. Ludwig I fancied himself quite the ladies’ man and kept a Gallery of Beauties (Schönheitengalerie) with paintings of women who caught his eye. The rear entrance to the palace has a huge double stairway leading down to the seemingly endless gardens. You could literally spend days walking around the grounds. Full zoom shows a bridge where a Munich street crosses through the park, which continues on past it. Looking back at the palace from the first fountain in the garden. Statues line the walkways. Once you get out into the garden, the tough decision is which way to walk. There are interesting options in every direction. After our visit to Schloss Nymphenburg we stopped into a nearby Greek restaurant and had a delicious lunch. Then we drove downtown, found a parking spot, and walked. And walked. And walked. We did manage to visit a museum called the Neue Pinakothek. Mostly 18th and 19th century European art. Some familiar, some not. So that was our first day. We literally stumbled back to the hotel and collapsed. We did manage to get out to a nearby Chinese restaurant for dinner. Malwarebytes – Great little program for ferreting out deeply hidden malware on your PC. Patriots – Shaping up nicely. We’ll see how they do against Indy this weekend. 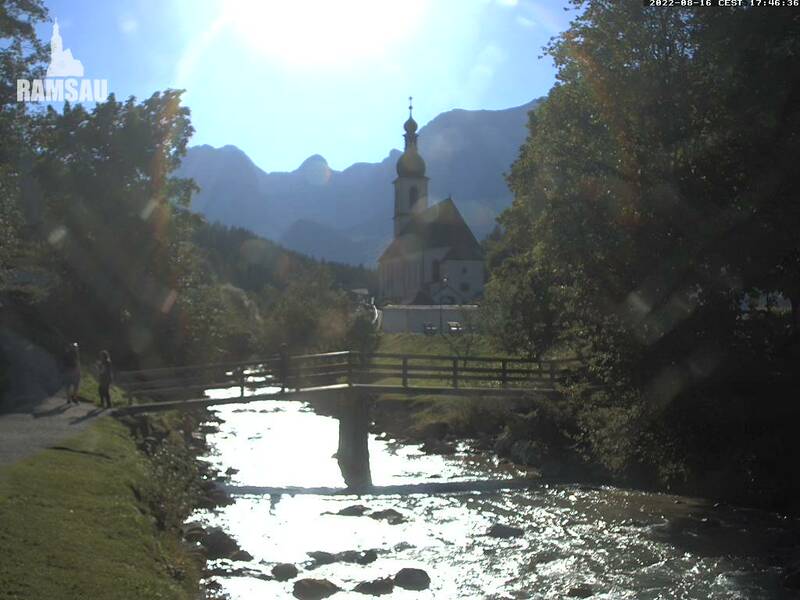 Ramsau – The webcam is still kicking out awesome images. Adobe Bridge – Neat program. You can batch rename images, add copyright info, and do a ton more. Very handy. Ft. Hood/Orlando shooters – Why can’t these pathetic souls just take their own lives and leave others alone? Weather – Finally some decent autumn weather. Mid-60’s today, 70’s for the weekend. Lots of sun. Yankmees – The Steinbrenners finally got their money’s worth. Ok, so I’m cheating a bit, but too many pics get compromised by construction, vehicles, tourists, etc. Luckily Photoshop makes it possible to “clean up” such things. The image below is the Chapel of St. Coloman just below the Neuschwanstein Castle in Schwangau, Germany. Very picturesque setting except for the tour bus, the tourists, a few cars, a couple of porta-potties, and some farm implement, right? But a few minutes using MS Paint and Adobe’s Photoshop and the image is pristine and ready for framing. I love digital photography.